Our Unique lead generation tool Connect is free for 60 days and installation is easy. 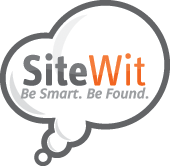 Through the Leads tab on SiteWit, after we gather your information we quickly install the Connect tab on your website which allows users to click on it, request a coupon such as ' 10% off your next order' in exchange for their email address or phone number. Once a user requests this coupon, you will get a notification directly to a free downloadable smartphone app which allows you to reply in real time, call the person directly or send them an email all from inside the app! This will help you generate more leads and convert them into sales which will in turn help you build a budget for your marketing campaign! It is 100% free for 60 days and just $9 a month thereafter. Here is a sample website which has Connect installed so you can take a look: www.firewood-shop.com. You will see the Connect tab which allows users to ask questions, look at your opening hours and location or request a discount coupon, which is all controllable on the app and the SiteWit dashboard. The only information that we need upon sign up is your cell phone number so that you can receive the leads, the business number you want to be displayed to clients, your location and opening hours of your business (this is optional) and finally two discount coupon offers to advertise to potential clients.